Today I’m welcoming Grace Elliot, author of The Ringmaster’s Daughter. Thank you for stopping by, Grace! All about Grace. . .
I’ve always had a creative streak and stories written for school homework tended to take on a life of their own – sometimes filling entire exercise books! However, I was desperate to become a vet and channeled my academic energy into the sciences and for over twenty years forgot about writing. Two decades later, at a school reunion, friends who I hadn’t seen since leaving, wanted to know if I’d gone on to become an author. At first I was puzzled, until someone reminded me of my stories being read to a hushed class. It was a ‘eureka’ moment as I realised there was nothing to stop me writing again. I went home and started that same evening. The rest – as the saying goes, is history. The short answer is escapism and history – but let me elaborate. My day job is as a veterinarian. 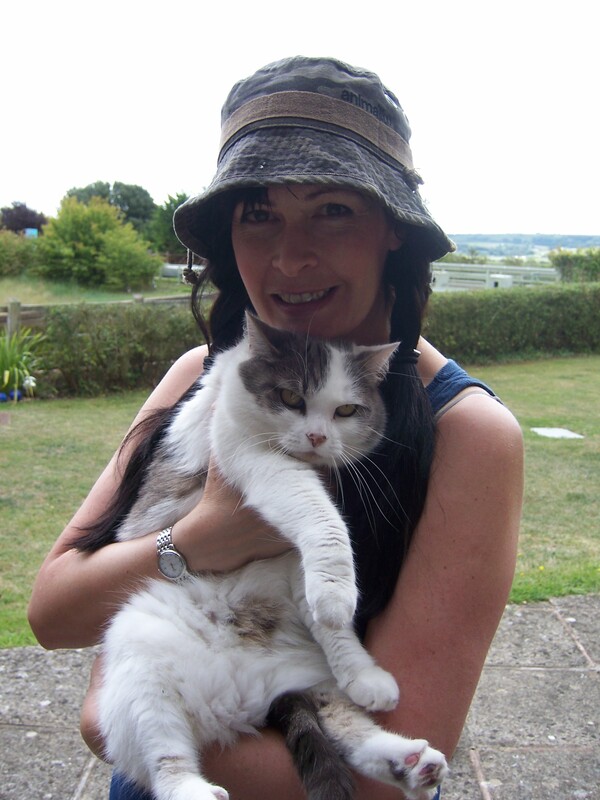 I adore animals and this is my vocation – however, I’m also a sensitive person which means that the raw human emotion I encounter on a daily basis can be extremely upsetting. When a pet is ill, owners show their distress in different ways from tears to shouting – and it’s my job to reach them at a time of crisis and discuss what’s best for their animal. Sometimes it’s difficult to switch off at the end of the day, and that’s where writing comes in. For me writing is an escape akin to meditation. I close my eyes to visualize the setting and let the characters create a scene in my head, which I transcribe onto the page. Transporting myself to a different time and place, exercises my creativity and helps me unwind, which in turn refreshes me for the next day. I’m fascinated by history and love researching how people lived in the past. Perhaps it’s the distance that time gives, but for me writing historical romance feels right and the words flow in a way that just doesn’t happen when I write contemporary pieces. 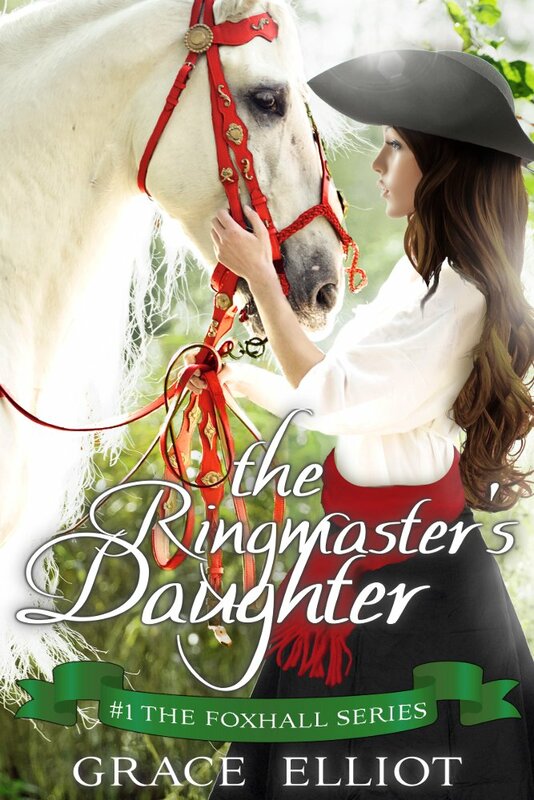 The Ringmaster’s Daughter is a Georgian romance set in Foxhall Gardens. This setting was inspired by the real pleasure garden at Vauxhall, which was hugely popular in the 18th century. I wanted to explore a romance between two people who weren’t lords or ladies, but from a more ordinary background. It struck me that Vauxhall (or the fictional version of Foxhall) would provide the perfect backdrop for a series of books with the setting as a common thread instead of a family. One of the things I love about history is how threads interweave. It was whilst visiting the Foundling Museum in London (to research orphans for another book) that I came across an exhibition about the Vauxhall Pleasure Gardens and became enthused. Pleasure gardens were a mix of amusement park, theatre, restaurant and ballroom, and everyone from the common man to royalty visited. Famous composers of the day, such as Handel, composed music to be played there, and artists such as William Hogarth had strong links to the gardens. There were entertainers from acrobats to magicians, from singers to animal performers – and people came to see the lights and stroll along tree lined avenues in an ‘earthly Elysium’ or heaven on earth. 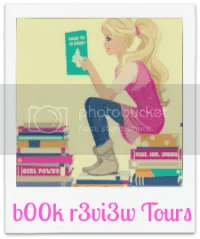 As a writer, the opportunity to write a romance involving the lives of people who lived and worked at the fictional Foxhall, was too tempting to resist – and so the first story involving the daughter of the ringmaster, and Foxhall’s new manager, was born. The characters come first and show me the way. It is the character who gives me that first inspiration – in the case of The Ringmaster’s Daughter I was intrigued by the notion of a woman raised in a male environment, prepared to challenge the social norm. The idea of a woman working with horses had been at the back of my mind for a while and indeed, I have written a Christmas short story about a groom and the night his daughter was born in a barn – and so you could say Henrietta Hart grew up in the intervening years, ready to step into her father’s shoes. Once the main characters are established I’m terribly evil and ask: What’s the worst thing that could happen to them? And guess what – that thing happens. Bwahaha! I plan the storyline in detail, but equally, I don’t expect to stick to it. Whilst writing the first draft the characters often head off in unexpected directions and I indulge them. Having a start and end point for the story in mind, I’m happy to let the hero and heroine dictate how they get there. 5. What is your most interesting writing quirk? Does a cat count as a quirk? I am housekeeping staff for five cats, but Widget is my writer’s cat. She sits beside me and taps with her paw if the typing slows down (I think she wants attention rather than me to speed up.) Either way, she helps me concentrate because it’s so very comforting to have her next to me. 6. What is your usual writing routine? Like many writers, I have to fit my craft in around the day job. I don’t have a set writing routine but I am good at disciplining myself to write in spare moments. I tend to write blog posts and do admin during lunch breaks, and settle to creative writing in the evening. That said the internet is both my best friend and worst enemy because the temptation to check emails and hop onto twitter or facebook, is a huge time sink. To avoid wasted time, I set myself at the start of each session I set a goal and once that’s achieved reward myself with the internet. In my spare time I love to explore London. This first started in the name of research – I wanted to get a feel for the places in my books, but it has now become a hobby in its own rite. I like to compare London ‘then and now’ – so if I read about, for example a Georgian gentlemen’s club, I visit the address to see how it looks today. Without exception I discover something quirky or interesting along the way, in this case an old print shop on St James’s Street, and this sends me off in a whole new direction. At school, I was the only non-swimmer to win a prize for swimming. I can hold my breath (without passing out!) for over four minutes. My latest release, The Ringmaster’s Daughter is #1 in the Foxhall series. The ringmaster’s daughter, Henrietta Hart, was born and raised around the stables of Foxhall Gardens. Now her father is gravely ill, and their livelihood in danger. The Harts’ only hope is to convince Foxhall’s new manager, Mr Wolfson, to let Hetty wield the ringmaster’s whip. Hetty finds herself drawn to the arrogant Wolfson but, despite their mutual attraction, he gives her an ultimatum: entertain as never before – or leave Foxhall. So far that morning, Tobias Wolfson, the new manager of Foxhall Pleasure Gardens, had watched an overweight acrobat, an arthritic contortionist and a ballad singer who was so out of tune that she made his teeth ache. Small wonder the gardens were losing money, he reflected, if these were Foxhall’s best entertainments. And given that the next act was late, his mood showed no sign of improving as he stared across the deserted stable yard. “Perchance Mr Hart does not value his job?” Wolfson said. “Hart’s Performing Horses,” Wolfson murmured, making a mental note to strike the act from the list of those retained. “Perhaps he’s inside.” Uglow’s plump hand gestured towards the large stone barn. Wolfson studied the two-story building. Evidently the stables and a tack room were on the ground floor, while the upper housed both a hayloft and some cramped accommodation. He nodded toward the loft. With a grunt, Wolfson marched toward the tack room but, as he passed through the open door, he felt a disturbance in the air and — before he could shout a warning — a young woman cannoned into the wall of his chest. She hit with such force, he heard the breath knocked from her lungs as she rebounded and tumbled backwards. By sheer reflex, Wolfson grabbed her upper arms to steady her. Instead of seeming grateful for his help, the girl glared back, her dark eyes fizzing angry as a wasp’s nest poked with a stick. Raising a brow, he studied this whirlwind. She had an oval-shaped face, her complexion glowed with health and hair, the color of ripe chestnuts, fell in a thick plait down to her bottom. She was dressed in working clothes, an apron covering a plain woolen skirt, a chemise and a shawl. She was, he realized, a young woman rather than a girl – with a curvaceous figure to match. His interest peeked. “Sir, release me!” She jerked a shoulder. With a start, Wolfson found he still gripped her surprisingly muscular upper arms. “Apologies, madam.” He let go and couldn’t help inspecting his hands, puzzled by the tingle of static on his palms. Bemused, he looked up to find her staring back, her mouth softly parted in question. Feeling an unwanted tug of attraction, Wolfson scowled. Bold as a lioness, she held her head high, and something jumped inside Wolfson as he returned her stare. Even standing still, she exuded energy — and the faint smell of lavender and horses. Perhaps it was the vivacity behind those dark eyes — so dark as to be almost black — or that determined expression, but her spirit excited Wolfson and his brow rose further. “Your yard?” he said, faintly amused. “Mr Wolfson and I will be working together.” Uglow’s tight lips suggested he disliked the arrangement. Was his imagination or had Miss Hart just trembled? Beside him, Mr Uglow shuffled his feet. With effort, Wolfson marshalled his thoughts back to the task in hand. “Pa’s out. Being fitted for a new costume. Not expected back afore late afternoon.” She held his gaze, but Wolfson’s skin prickled as it did when he was being lied to. Wolfson arched a brow at her impertinence but let the disagreement go, for he would get to the bottom of matters in his own time. He folded his arms across his chest, tapping a manicured finger against the opposite sleeve. “Oh yes, sir.” She smiled, but her lip quivered. Clearly something was troubling her. Aware of Miss Hart’s eyes burning into his back, he left the stable yard with the niggling impression that Miss Hart was as an uncut diamond amongst coals.